Abhay Nayak’s father says his son is a blogger and freelance journalist while the police claim he is the Naxal rebels’ chief online propagandist. Four days later, a team of the Chhattisgarh police arrived at their home with a search warrant. They told the Nayak family their son was in police custody in Jagdalpur. On June 13, the Chhattisgarh police paraded Abhay Nayak before the media, claiming he was the spokesman of the Communist Party of India (Maoist). 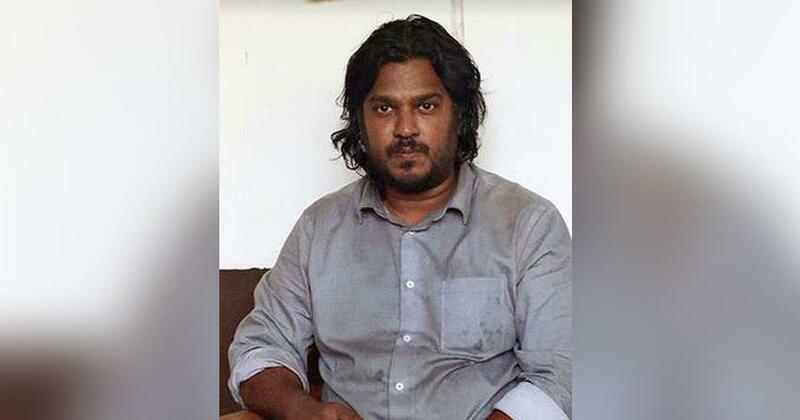 In a statement released subsequently, they accused him of spearheading the banned group’s online propaganda campaign, posting “anti-police, anti-government and anti-national material” to attract Indian youth to Naxalism, and for having links with “Maoist sympathisers”. He was arrested on charges of criminal conspiracy under the Indian Penal Code, and under the Explosive Substances Act and the Unlawful Activities Prevention Act for being a member of and supporting a terrorist organisation. The police claimed Abhay Nayak had travelled to several countries, including the United Kingdom, Luxembourg, Belgium, France, Netherlands, Mexico, Ecuador, Guatemala, Bolivia, Cambodia, Singapore, Indonesia, Russia and Nepal. The visits were “highly suspicious”, the police alleged, because these nations have a presence of the Coordination Committee of Maoist Parties and Organisations of South Asia, or CCOMPOSA, an international umbrella body of 10 left-wing extremist groups active in Bangladesh, India, Nepal and Sri Lanka. Abhay Nayak had been on the radar of the Bastar police and the Chhattisgarh State Intelligence for over a year, the statement added, and a lookout notice for him was issued on May 23 last year. Shocked by Nayak’s arrest, his family initially refused to speak to the press, limiting their responses to denying their son could ever have been involved in any crime. A few days later, though, Nayak’s father agreed to answer questions from Scroll.in on email. Devadas Nayak has lived with his wife and three children in Bengaluru for around 37 years. He worked in the hospitality industry and now, after retirement, manages service apartments in the city. He said Abhay Nayak, his second child, did a bachelor’s in business management from Bengaluru in 2007 and a master’s in psychology from Annamalai University, Tamil Nadu, in 2010. He set up a series of blogs, including India Microfinance, Space Yug, and Brain Maya, and created a digital media marketing course which he taught at an institute in Bengaluru for a year. He also did freelance work for various clients and companies, developing websites and doing digital media marketing. His father said Abhay Nayak’s foreign travel was for exploring “higher studies, attending technology conferences, and pursuing his interest in start-ups, business and science”. In June 2017, he went to London for six months to attend various conferences and apply for PhD programmes. Devadas Nayak said he visited his son there in November that year. In April 2018, Abhay Nayak went to attend conferences in Singapore, where his mother and sister joined him for a vacation. Before returning to India in May, he went backpacking through the Americas to learn about new nations, peoples and cultures, his father said. 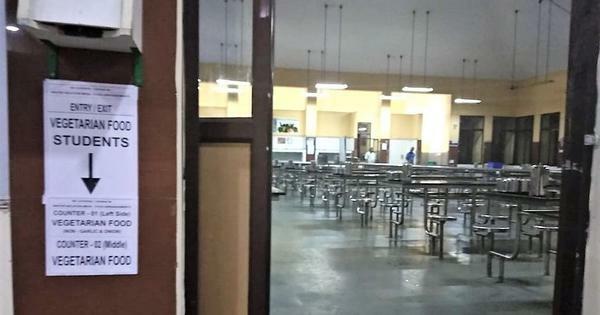 In May, the Maharashtra police put out a poster featuring colour pictures of five Maoist leaders and announcing rewards up to Rs 1.7 crore for information about them. The largest bounty, of Rs 60 lakh, is for Molajula Venugopal alias Bhupati alias Sonu alias Vivek alias Laxminarayan alias Lachhana Abhay alias Abhay, hailing from Peddapalli in Telangana’s Karimnagar. But who is Venugopal alias Abhay? In 2011, media reports identified him as the new Maoist spokesman, succeeding Cherukuri Rajkumar alias Azad, who was killed by security forces in Telangana in July 2010. According to another report, police records described Abhay as the younger brother of Malojula Koteshwara Rao alias Kishenji, the senior Maoist leader who was killed in West Bengal in 2011. At the time of Kishenji’s death, Abhay was said to be 51 years old and in charge of a new guerrilla zone in the South “on either side of Western Ghats, from Goa to Idukki in Kerala”. The Chhattisgarh police, however, insisted they have the right man. DM Awasthi, special director general for anti-Naxal operations, said Abhay Nayak disseminated the material prepared in consultation with Venugopal. The Maoist leader would send propaganda material for Abhay Nayak to edit and post to “relevant people”, Awasthi added. Initially, Awasthi alleged, Abhay Nayak used to communicate as “Azad”, but after the senior leader’s death, he started signing as “Abhay”. The police official claimed the signature on the Maoist party’s statements matched Abhay Nayak’s and he admitted as much, in writing no less, during interrogation by the Chhattisgarh police. A forensic investigation is underway to corroborate this, Awasthi said. The Bastar police’s story has not convinced former senior Maoists who have left the rebel ranks to lead “normal lives”. Speaking anonymously for fear of reprisal, they pointed out that the Maoist party’s spokesperson must be a member of its Central Committee, a position earned after 15 to 20 years of hard work. Abhay Nayak, given his age, does not qualify. Moreover, a Central Committee member cannot be living in a city with a declared address and telephone numbers. Vivekanand Sinha, inspector general of police in Bastar, claimed Abhay Nayak’s blogs were a cover for his clandestine work. In particular, Sinha said, the police were monitoring a blog called Naxal Revolution. “He was running the blog since 2006 and through it he used to propagate Maoist ideology,” Sinha told the media, adding that he was also “involved in online motivation and recruitment of youth”. The blog, however, does not explicitly mention Abhay Nayak – the posts are signed off by “Abhay N”. In the last post, published on March 17, Abhay N said he “spent a substantial part of last year” in the Americas, and promised a “report on his findings”. Of the other blogs Abhay Nayak’s family claims he ran, India Microfinance appears to have received most attention from him. Started in 2008, it features a variety of posts, from news and opinion pieces to studies on “financial inclusion, microfinance and digital money”. Some of its contributors are listed as members of the blog’s editorial board. One of them is Yarram Raja, an economist and risk management specialist who advises the Telangana government. Raja said he found the blog rich and appealing and, therefore, agreed to contribute articles. He never received any fee for his contributions though, he claimed, and expressed surprise when told he was listed as a member of the editorial board. Another name on the editorial boards is Milford Bateman, adjunct professor of development studies at St Mary’s University, Canada, and author of several books on microcredit, said he never met Abhay Nayak. They only exchanged “maybe two emails in connection with the article I did back in 2010 with someone from India Microfinance who I think was Nayak”, he added. Bateman said he wasn’t consulted about being put on the editorial board. Contrary to what the police’s press release states, the actual case against Abhay Nayak does not relate to his blogs, or his “online propaganda”, said his lawyer Arvind Chaudhary. “Other than the statement that in March 2017 improvised explosive devices and Maoist pamphlets signed in the name of Abhay and Vikalp were recovered from three places under Darbha, Kodenar and Mardum thanas, there are no details in direct relation to the charges slapped against my client,” Chaudhary said. Asked about Chaudhary’s allegation, Awasthi said “as investigations progress, further charges depending on what is unearthed will be added”. Chargesheets filed under the Unlawful Activities Prevention Act can be extended up to 180 days, lawyers dealing with similar cases pointed out, meaning that Abhay Nayak’s family could be in for a long legal fight. Clarifications and corrections: An earlier version of this article erroneously stated that the blog Naxal Revolution was run by Abhay Nayak. The blog only mentions “Abhay N”.